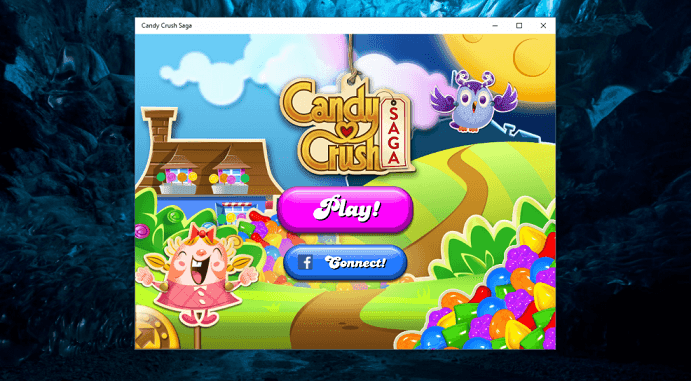 One of the most popular game with a rating of 4.5 in Windows Phone store has landed on a desktop/laptop PC near you. King, the developer of the game, has released a Universal app which means you can now enjoy the game on both on your phone as well as the desktop. It is about time! Candy Crush Saga, from the makers of Pet Rescue Saga & Farm Heroes Saga! Join Tiffi and Mr. Toffee in their sweet adventure through the Candy Kingdom. Pass level 50 to unlock Dreamworld and escape reality alongside an owl named Odus. Switch and match your way through hundreds of levels in this delicious puzzle adventure. Isn’t it the sweetest game ever? Take on this deliciously sweet Saga alone or play with friends to see who can get the highest score! If you are a fan of the Candy Crush Saga and have been playing it on your phone since the launch, it is time to get it on your PC.